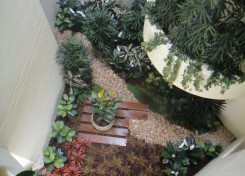 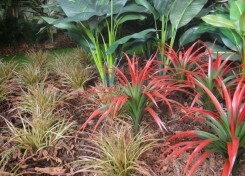 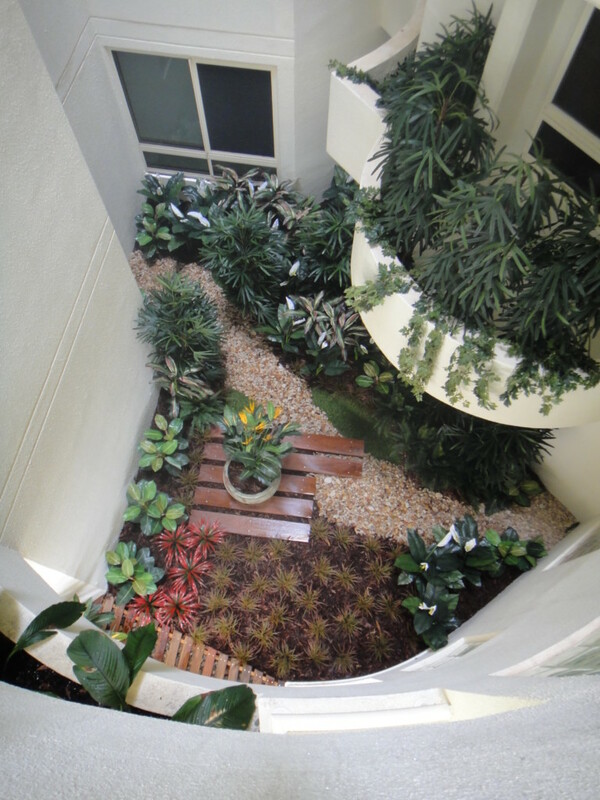 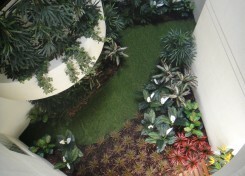 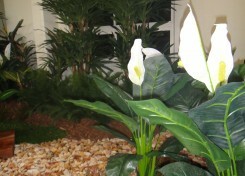 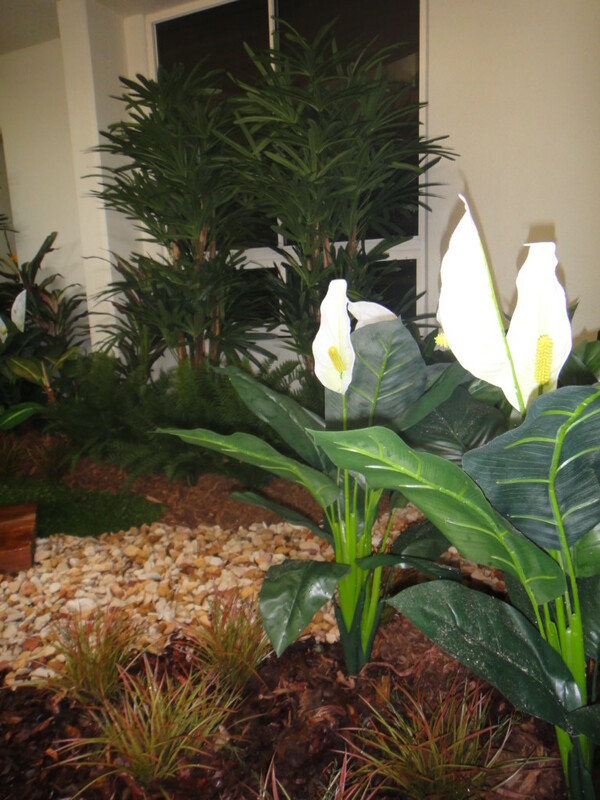 The replication quality of artificial plants has increased dramatically. 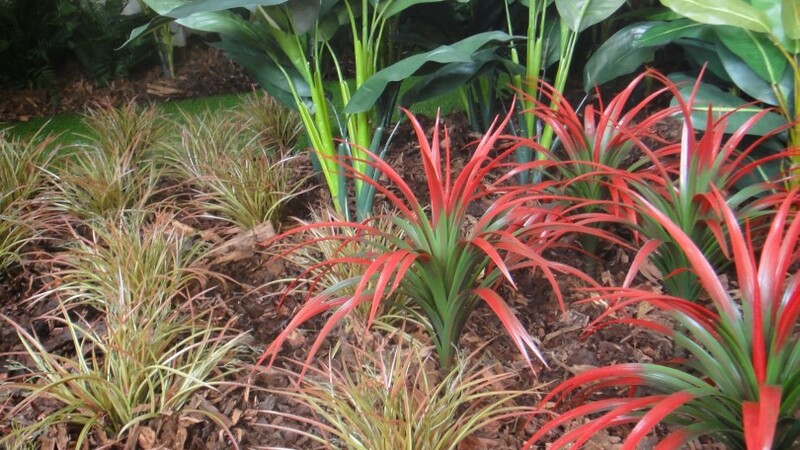 They are now often hard to distinguish from living plants, which makes their presence even more appealing than ever before. 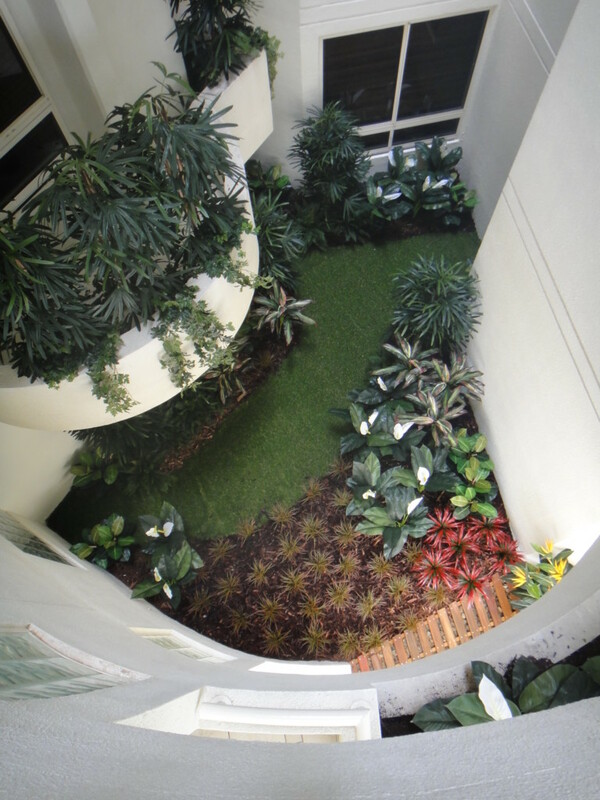 Planters boxes on multi story buildings are very expensive to repair once the waterproofing membrane fails and often we are asked to design alternatives to living plants in podium soils. 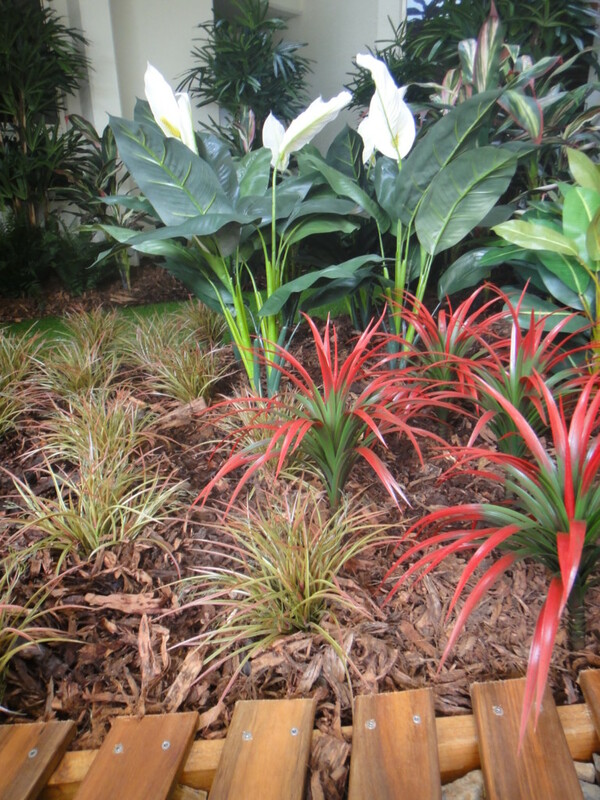 Element Design has recently completed a project within an exclusive resort, where the whole design was constructed using artificial plants, tumbled sand stone, timber sleepers and artificial turf.